North Carolina remembers its most fearsome pirate — and one who tried his best, bless his heart. The pirate Edward Teach (or Thatch, or one of a dozen or so similar names) lived in Bath for a time and was better known as Blackbeard. His fierce appearance, ferocious personality, and exploits capturing ships, crews, and loot made him the most terrifying presence on our coast during the early 18th century. Stede Bonnet left Barbados to become a pirate in 1717, when he was in his 20s. His final stand against pirate-hunter William Rhett was the “Battle of the Sandbars” on the Cape Fear River, during which our state’s famously shifting tides beached Bonnet’s boat, the Royal James, and handed Rhett the victory. Blackbeard may have learned his trade as a legal privateer, contracted by the British Navy to attack enemy ships. When that gig was up, the lifestyle was just too lucrative to abandon. Why Bonnet turned to pirating is a head-scratcher: Here’s a plantation owner with a wife, children, and plenty of money. “Some say it was a midlife crisis,” says Lori Sanderlin of the Maritime Museum in Southport. 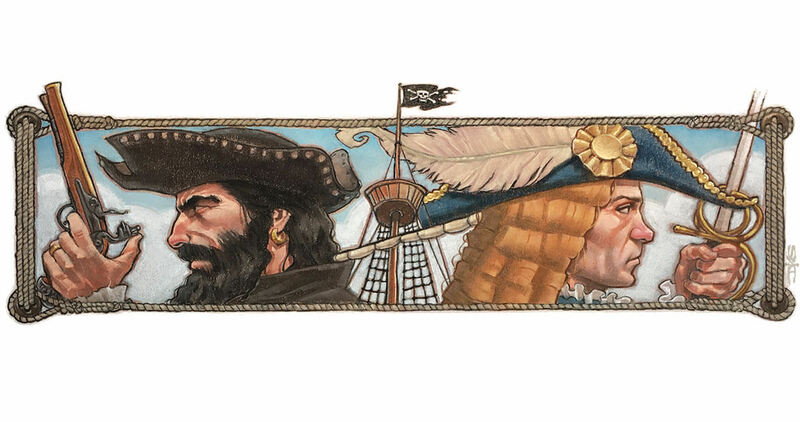 Blackbeard is thought to have had 14 — or maybe more — “wives” because, according to legend, being a moral man, he had his first mate “marry” him to any woman who caught his eye before romancing her. One maritime historian holds the theory that Bonnet’s wife nagged him so much that he finally just had enough and bolted from Barbados. Blackbeard likely never killed a single person; supposedly, his very appearance — beard bristling and body strapped with weapons — struck such fear in his captives that they surrendered. Bonnet is known as “the gentleman pirate” because he was wealthy and wore a wig and fancy clothes. Moreover, his seamanship and intimidation factor were laughable. Though pardoned for his piracy by North Carolina Gov. Charles Eden, Blackbeard couldn’t kick the habit, and he soon returned to his wicked ways. In November 1718, he was killed by British troops in Ocracoke Inlet. Bonnet’s fellow pirate pal Blackbeard once invited him to “recuperate” aboard the Queen Anne’s Revenge, and then busily set about taking over Bonnet’s ship. Blackbeard is inseparable from North Carolina’s coastal history. Discovered in 1996, his flagship, the Queen Anne’s Revenge, continues to be explored, 300 years after his death. Compared to Blackbeard, Stede Bonnet is North Carolina’s “we try harder” underdog. This year is the 300th anniversary of his death by hanging, despite his dramatic, impassioned promises to behave. Ben Cherry has been a Blackbeard reenactor on the Outer Banks for 30 years. Lori Sanderlin is the museum manager at the NC Maritime Museum at Southport. She holds a master’s in maritime and naval studies. Susan Stafford Kelly was raised in Rutherfordton. 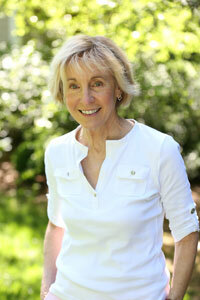 She attended UNC-Chapel Hill and earned a Master of Fine Arts from Warren Wilson College. She is the author of Carolina Classics, a collection of essays that have appeared in Our State, and five novels: How Close We Come, Even Now, The Last of Something, Now You Know, and By Accident. Susan has three grown children and lives in Greensboro with her husband, Sterling.